Bali – A Diamond in the Rough! Balis reputation is sometimes dented by the fact that this is the Australians favorite island for charter trips. 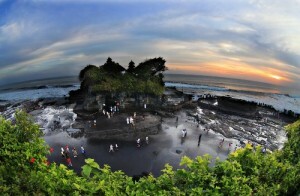 Yes, you can get that experience too on Bali, which is part of the charm with this multifaceted diamond. The diamond expression is a bit worn, but true for this little island with almost 4 000 000 inhabitants. Before booking a trip to Bali you should know that there are decent beaches on the island, but they are not the reason for going here. If you are a beach connoisseur and beaches are the main reason for the trip then you should go to the Maldives, Bora Bora or the Bahamas. Some travel agencies, both on and offline, tend to market Bali as a beach paradise which couldn’t be more wrong. 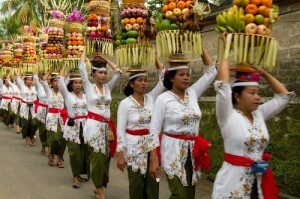 You go to Bali for the stunning nature, the spirituality, the people, the food, the excellent hotels and so much more. I could make the list a lot longer, but I will refrain from boring you. 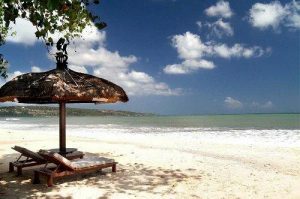 Our favorite beaches are Sanur and Jimbaran considering beach quality and atmosphere in the village. Nusa Dua have great beaches but the village is very sterile and far from what Bali really is. Kuta is probably the oldest and most famous beach but a little bit too much hustle and bustle. It is great to visit Kuta for an evening of shopping, dining and/or watching the sunset but would be unbearable to spend a whole vacation in. North of Kuta you have Seminyak with a great village full of trendy shops, bars and restaurants. Beaches are nice but very often with strong currents and many times swimming is forbidden. Speaking of spirituality, religion (83% hindu according to Wikipedia) is always present in Bali. Where ever you go on the island you encounter something religious, maybe a shrine, a procession or people on their way to worship. It is not unpleasant, not even for an atheist like myself. People are in general very friendly, proud and service minded. Don’t be surprised if your driver stops at a roadside shrine for a quick prayer and an offering while touring the island. Food in Bali is usually of high quality and worth its money no matter if you eat at a local warung, which is a small café or one of the fancy restaurants like Sardine, Metis or Hu´u. If you want drinks, see and be seen you should absolutely visit Ku De Ta and Rock Bar. When speaking about food in Bali one should not forget Damai in Lovina on the north coast. Their slogan is “Bali´s Gourmet Retreat” and it is a very accurate description. Damai is an excellent place and well thought through in every aspect. 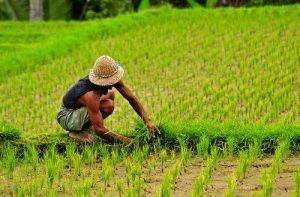 You can usually travel to Bali the whole year, but if you are unlucky the monsoon can come in December and January with heavy precipitation. The absolutely best time weather wise is mid April – mid October. I usually try to avoid July and August because this is ultra-peak season and it can sometimes be crowded. 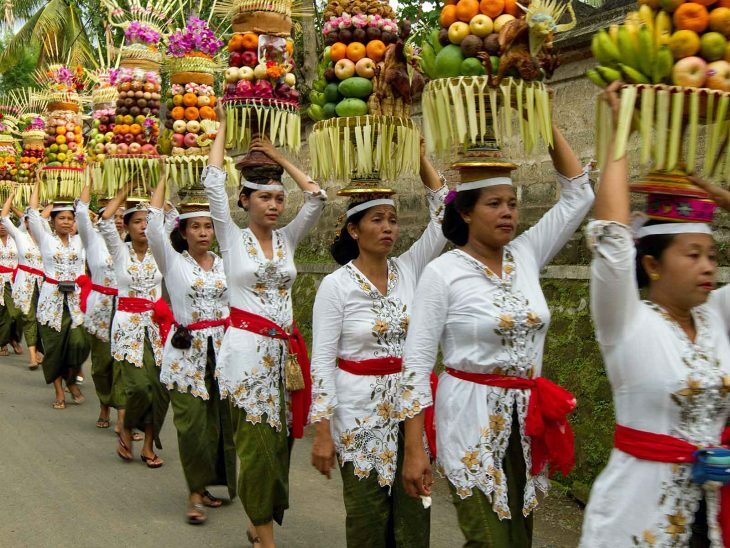 Ubud is considered the cultural centre of Bali with many craftsmen and a quaint village centre with shops, restaurants and cafés. The village is surrounded by rice paddies, perfect for a trek or a mountain bike tour. If you want more adrenaline you can always go for some rafting on the river. Lovina is up in the north and is most famous for its diving sites, the dolphin safaris and the beautiful nature with lakes and hills. It is easy to forget about Lovina when planning a trip to Bali, but should be included if you ask me. Damai is worth the trip on its own, the rest is a bonus. The best way to experience all the beauty Bali has to offer is to combine the beaches in the south, the culture and nature in Ubud with the northern coast. Fortunately, there are so many variations and possibilities which gives you many reasons to return. I hope you liked this introduction to Bali. It is a diamond in the rough and hopefully stays that way. Please share your own tips about Bali via email, in the comments below, on Twitter, Facebook or Google+. Fly high in New York City! A New Take on Online Bookings?